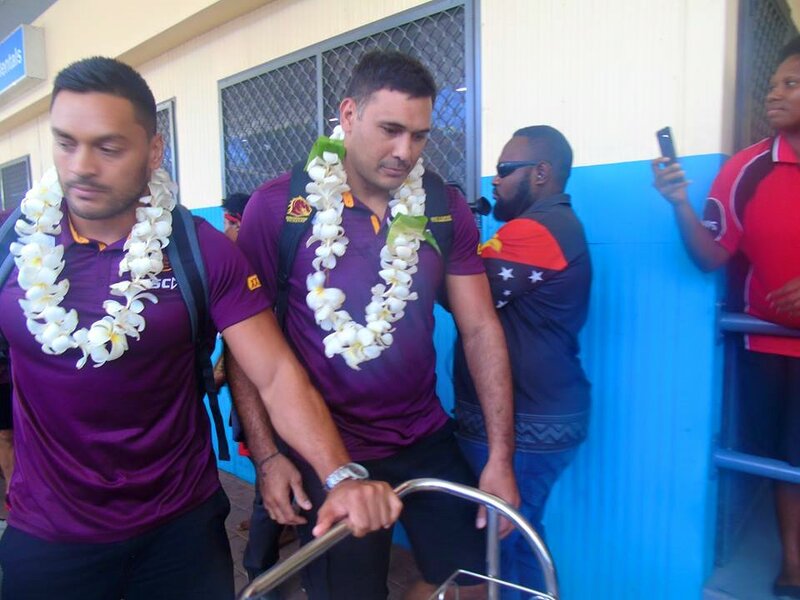 The Brisbane Broncos team arrived today to a packed crowd waiting for them at the Jacksons International Airport, Port Moresby. They were greeted outside the terminal by die heart fans who waited at the airport for 2-3 hours just to get a glimpse of their favourite players and offcourse the man behind the team Wayne Bennett. Broncos Captain Alex Glenn was overwhelmed with the reception they received at the airport and he was even surprised to see a placard with his name on it. He said he felt like a rock star walking out of the airport and the atmosphere just gave him that feeling of being an important person. Meanwhile the captain believes it will be a very physical game against the PNG Hunters this Saturday.